The Satechi Type-C Pro Hub with 4K HDMI & Thunderbolt 3 is the perfect companion for your 2016/2017 MacBook Pro. Sleek and compact, the Satechi Type-C Pro Hub features a Thunderbolt 3 port, USB-C port, 2 USB 3.0 ports, 4k HDMI and a SD/Micro card reader. 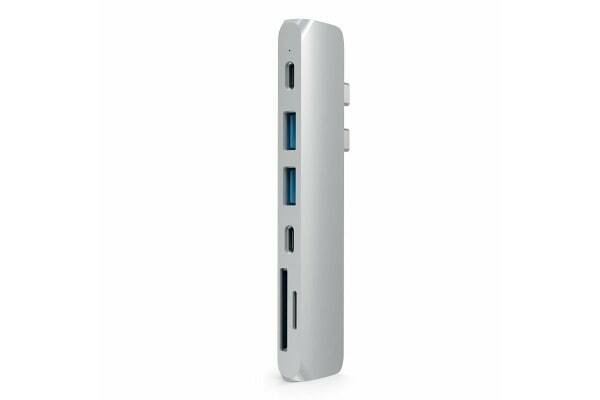 Simply, plug and play to expand your MacBook’s capabilities. Designed for the 2016/2017 MacBook Pro – compatible with both 13” and 15” models. Utilise your MacBook Pro’s USB-C PD port for pass-through charging and quick data transfer, all without sacrificing your USB 3.0 ports, SD/Micro card reader, 4K HDMI and Type-C port. USB 3.0 ports cannot charge iPad. Second Type-C port supports quick data transfer, with speeds up to 5Gbps. 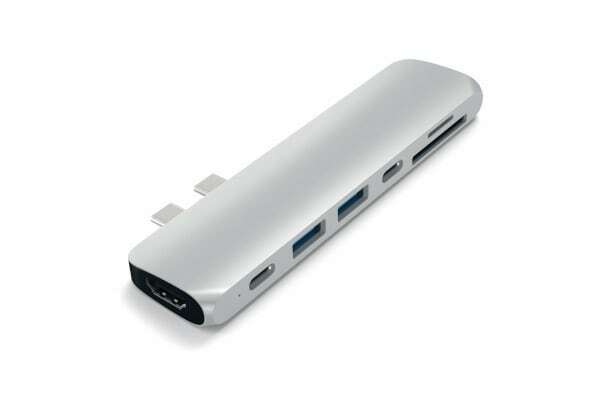 This port does not support pass-through charging for MacBook Pro. USB-C PD port (first USB-C port) supports data transfer of speeds up to 40Gbps and pass through charging for both 13” (61W) and 15” (87W) MacBook Pro models. Use the HDMI port to output crisp, high-resolution video to your 4k monitor screen. 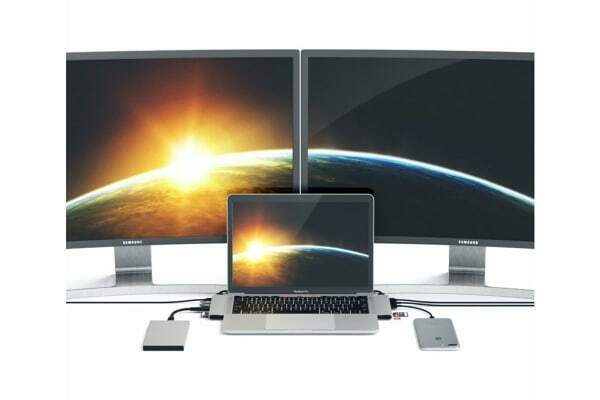 Simply, connect an HDMI cable from the Pro Hub Adapter to your external monitor to view crystal-clear display. It requires a direct HDMI to HDMI connection.